You asked for it, and your wish has been granted! 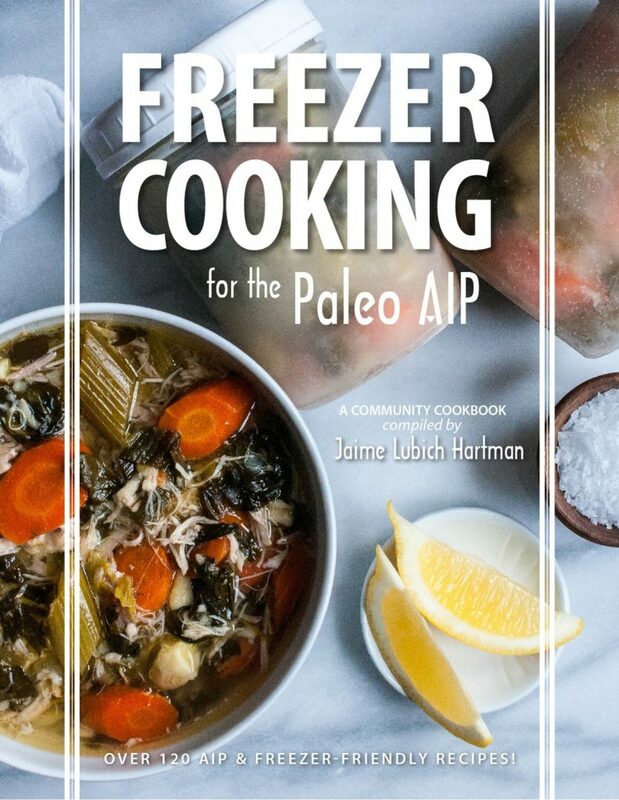 There's a new cookbook on the Paleo AIP Block. How many of us in our pre-paleo days reached for Lean Cuisine or Stouffers frozen meals for a quick dinner after a long, tiring day? While those brands don't appeal to me any more, I do miss the convenience. That's what this e-cookbook is all about! With this resource, we can fill our freezers with healthy frozen meals, always keeping some on hand for those nights when cooking from scratch feels like too much work. 123 Recipes, all written with the freezer in mind. Some are batch cooked and frozen in single servings for quick emergency meals. Others are batch prepped, so you can simply grab some ready-to-go ingredients for a quick meal for the whole family. Every recipe has been tested for freezer compatibility and comes with reheating instructions. 73 of the recipes are exclusive to this e-cookbook. That means you won't find them anywhere else. 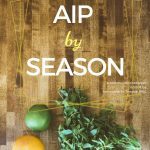 100% AIP: Every recipe in this e-cookbook meets the restrictions of the elimination phase of the paleo autoimmune protocol. It's an e-Cookbook: That means it's available to purchase worldwide. It's also formatted on 8-1/2×11 paper, so it's easy to print, if you prefer a hardcopy. 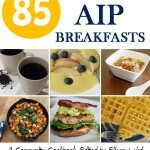 The Work of 30 AIP Bloggers: This book was written for the AIP by people who have followed the protocol to improve their own health. That means these are flavorful recipes made and tested by people who love delicious, healthy food, just like you. Edited by Jaime Lubich Hartman from Gutsy By Nature, contributors include many of your favorite cookbook authors including Sarah Ballantyne, Mickey Trescott, Angie Alt, Alaena Haber, Bre'anna Emmitt, and me! 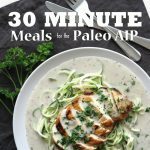 Exclusive Coupons: When you buy the book, you also get discounts from some of your favorite AIP vendors, like Paleo on the Go and ShopAIP. Building Blocks – everything from bone broth and homemade AIP baking powder, to personal pizza crusts. Breakfast – smoothies, sausage, porridge, waffles, pancakes, and more. Appetizers & Snacks – finger food fun! Soups & Stews – a delicious way to enjoy gut-healing bone broth in a wide variety of flavors for all seasons. Casseroles & Other One-Dish Meals – comfort food at its finest. You'll find healthy, AIP re-creations of pot pies, “macaroni and cheese”, tuna casserole, and more. Meaty Main Dishes – meatballs, meatloaves, meat patties, chicken legs, and chicken strips, among others. Vegetable Side Dishes – cauli-rice, teriyaki veggie stir-fry, twice-baked sweet potatoes, and more. Desserts – everything from fudge to popsicles, to slice & bake cookie dough. Here's a complete recipe list. Heat a large cast-iron pot or skillet on medium heat. In the meantime, peel and dice the onion. Peel and mince the garlic. When the skillet has come to temperature, you can test this by drizzling water on the surface, when it dances it’s ready. Add in the fat, onion and garlic. Sauté until tender. Add in the chicken thighs and 1 teaspoon salt. Brown on all sides. Then add in the sauerkraut and the parsley. Mix well. Add in the bone broth and cover with a tight fitting lid. Lower heat to low. Cook for 20 minutes. Remove the lid, stir in the molasses and let it simmer until the liquid is reduced by more than half. Remove from heat, use two forks to shred the chicken. Set aside. In a large bowl mix whisk together the cassava flour, ½ teaspoon salt, cream of tartar and gelatin. Drizzle in the olive oil and vinegar as you keep whisking until the dough gets crumbly. Switch to a spatula. Next add in ¼ cup of warm water as you fold and mix with the spatula, add water one tablespoon at a time as needed until the dough is no longer crumbly. Move dough to a flat surface and knead with hands until it is well combined. It should be malleable but not sticky. If it’s sticky dust with flour and knead again. Make two equal sized flat disks with the dough and wrap in plastic wrap. Set in the fridge for at least 30 minutes. When ready to work with it again, prepare a flat surface, have the warm water at hand and more flour for dusting as needed. Unwrap one disk at a time; it will be tough and crumbly. That’s fine. Let it come apart on your flat surface then add 1 to 2 tablespoons of water to the dough and knead it back to a smooth malleable consistency. Divide the dough into various equal sized balls. Each disk should make about 5 balls. Set one ball in the center of your workspace, gently flatten with your hand. Cover with a piece of parchment paper and use a rolling pin to shape a 4-5 inch round, about the size of a tortilla. Use a spoon to fill with a small mound of shredded chicken. Then use spatula or dough scraper to lift the top side of the dough, gently fold it over and pinch the edges closed. You can gently roll them up a little to create a decorative border or use a fork to imprint on them. 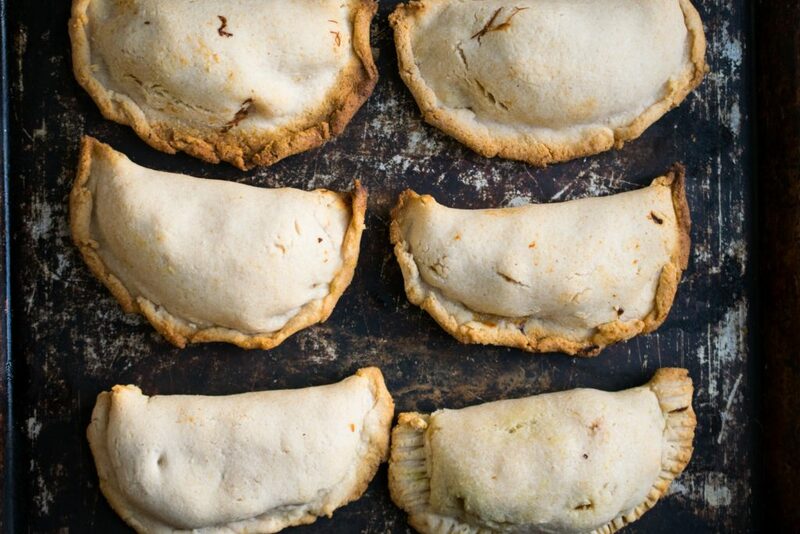 Scrape the empanada up and place on a baking sheet. Brush with olive oil. Repeat this with all of the remaining dough. If some of the dough dries out as it waits its turn to be made into a lovely empanada, simply wet your fingers and massage it back to malleable texture. Alternatively, if you overdo the water on one, lightly dust it to dry up. Once all of the empanadas are made, ensure they are spread out and not touching on the sheet pan. Place in the freezer for at least 3 hours. When they are properly frozen you can transfer them from the sheet pan to a freezer bag and store up to three months. 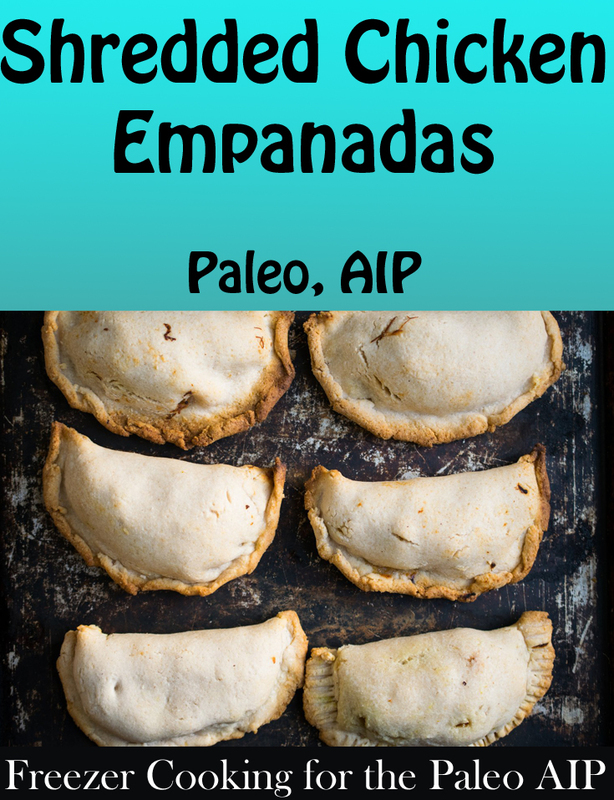 Place the frozen empanada(s) on a sheet pan. Bake for 15-20 minutes until the edges are golden. The winners were selected through Rafflecopter on October 9th and have all been contacted to redeem their prizes. 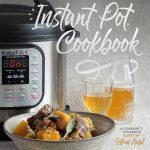 To celebrate the launch of this e-cookbook, there's a HUGE giveaway happening, with over $900 in prizes. There will be 14 winners, and entering is easy. Just click over to the purchase page, scroll to the bottom, and answer the question in the Rafflecopter box. The winners will be chosen randomly on October 9th, 2017. Good luck!